In this post, I have explained how to manually deploy and configure SSRS in SharePoint. 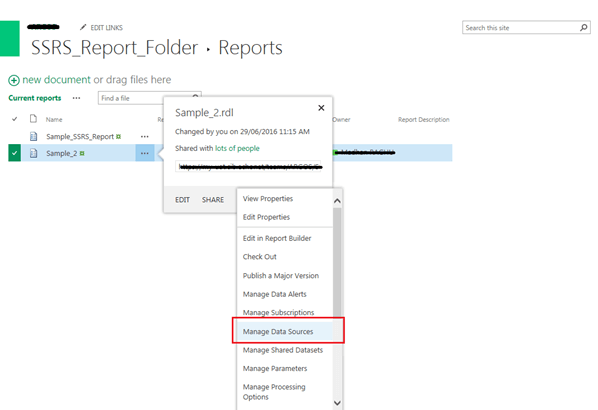 There are two ways to deploy the report in SharePoint. 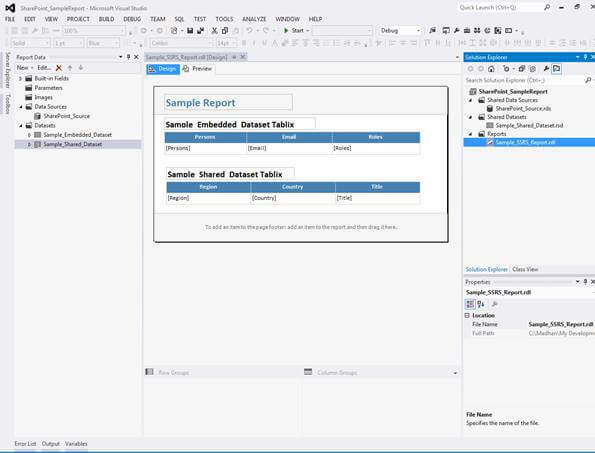 This deployment is used when a developer is deploying a single report or dataset to the SharePoint. For example, consider an SSRS project solution with 20 reports which Is already deployed in SharePoint. Now, a developer has done some changes in one report to update those changes in SharePoint. 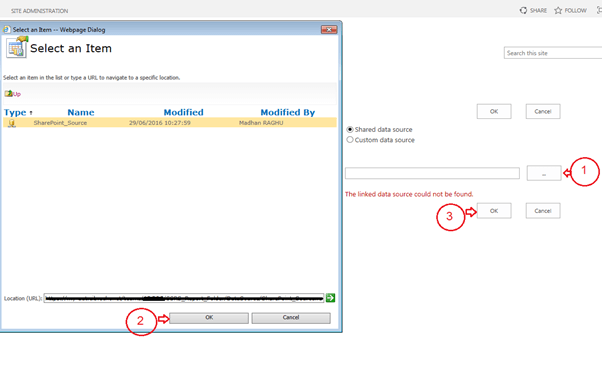 They can use this method to upload that single report to SharePoint. 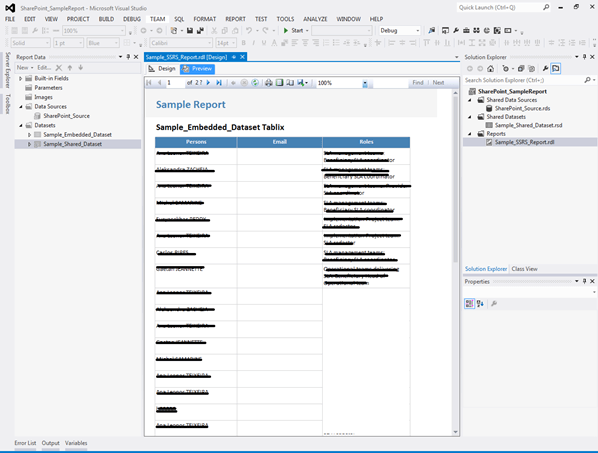 We have a report named as Sample_2.rld with one shared dataset. 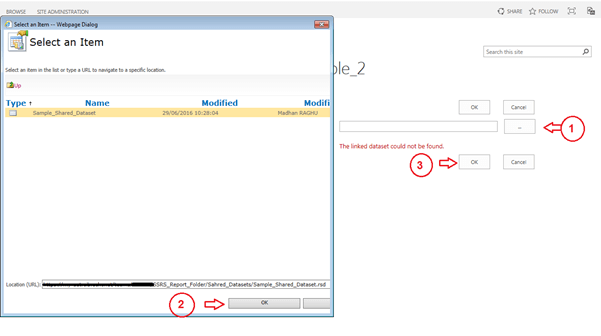 Browse and select the sample_2.rdl from the file system and click OK.
Click "Save" to deploy the report. 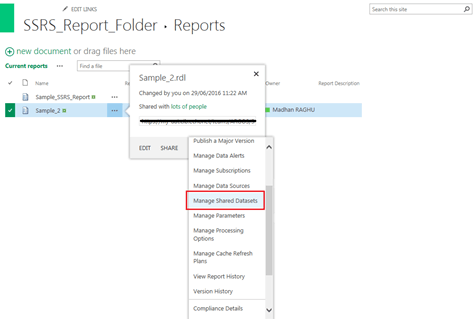 If a user deploys the report in SharePoint manually, then the user must map the data source and Shared data for that report manually. 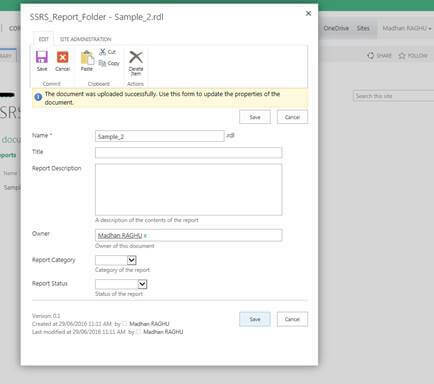 Map the data source in the report with a shared data source which is already deployed in SharePoint. If that report is pointing to any shared dataset, this means the user must map that dataset too. Go to Manage Shared Datasets". Shared dataset shows warning because no dataset is mapped to that. So, the users have to map a dataset to that. Finally, our report is deployed successfully.